Stacy Horn » Blog Archive » When did we stop using articles in speech? When did we stop using articles in speech? I first noticed it, I think, when people started saying “I’m going to prom,” or “what about prom, Blaine? ?” (from Pretty in Pink). Not the prom, just prom. The other day people were saying Prince Philip is in hospital. Not the hospital, or a hospital, just hospital. I am still without a working camera. These are a couple of old pictures. 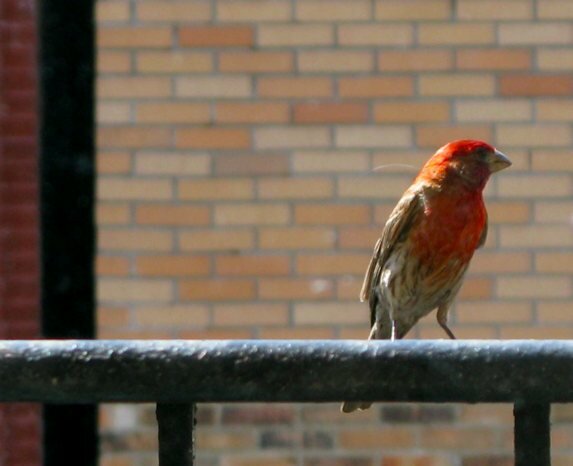 First up a house finch on my fire escape. I fell in love with him, but he never even looked my way. He just flew off and I haven’t seen him since. 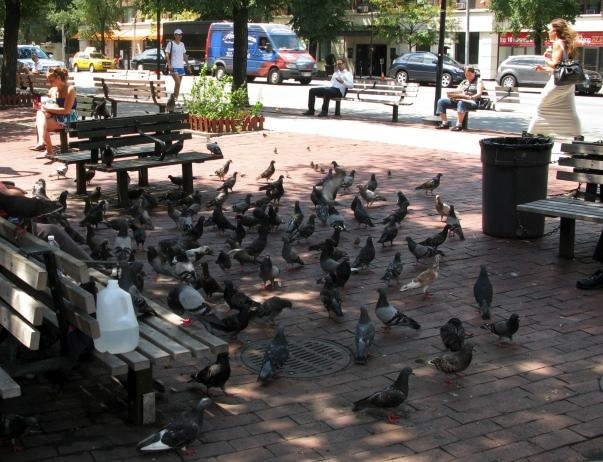 These are pigeons in a nearby park, which has since been totally redone, it doesn’t look like this anymore. They probably wouldn’t stand for this mass of pigeons in the sparkly new park. I think “in hospital” is standard in British English. I run across it all the time in British literature. Yeah. It bugs me though!